even if the lights go out, there is still light. No light, no film. In mainstream cinema productions, and the James Bond film series in particular, lamps sometimes play a dramaturgically key role. They are often knocked down as the trigger for, or as a result of, a fight and frequently they get broken dramatically. 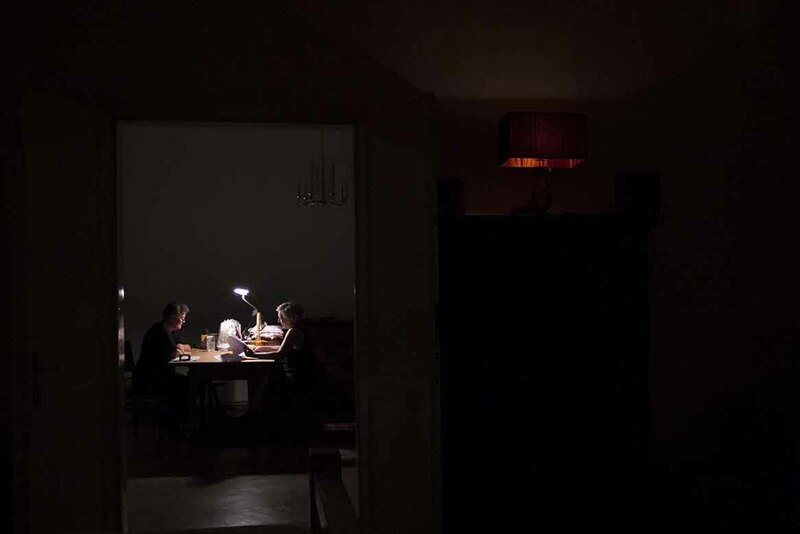 In the installation 'even if the lights go out, there is still light' they become the main actors at the centre of events. In the video it is two blue lampshades, which the Viennese lampshade maker Elisabeth Kemeter made in 1989 for the James Bond film 'The Living Daylights''. They were, however not to be seen in the final version of the film and the original designs no longer exist. The two lamps - absent from the film - have been reconstructed from memory in a joint work with the lampshade-maker and produced once more. 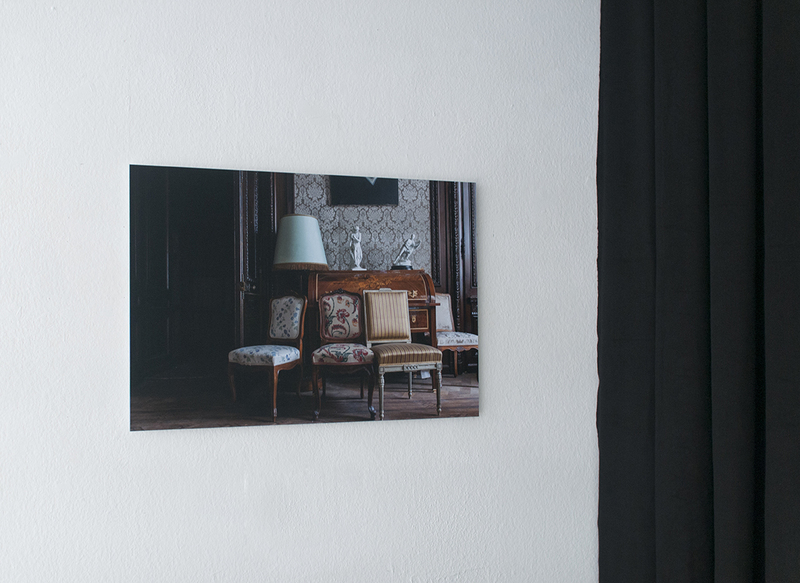 The installation blends historical events and evidence from Elisabeth Kemter's life with ficitious and speculative material and thus destabilises the 'objectivity' of the documentary process. The mechanisms of historiography that are based on inclusion and exclusion are rendered visible and a (feminist) re-writing negotiated as a recurring and performative act. The double slide projection set up opposite the performing documentation illuminates in more detail the recurrent motif of the falling lamp from 50 years of James Bond film history. The film stills (as slide film exposures) direct our gaze to the ephemeral and momentary play of light and colour within a filmic action sequence. 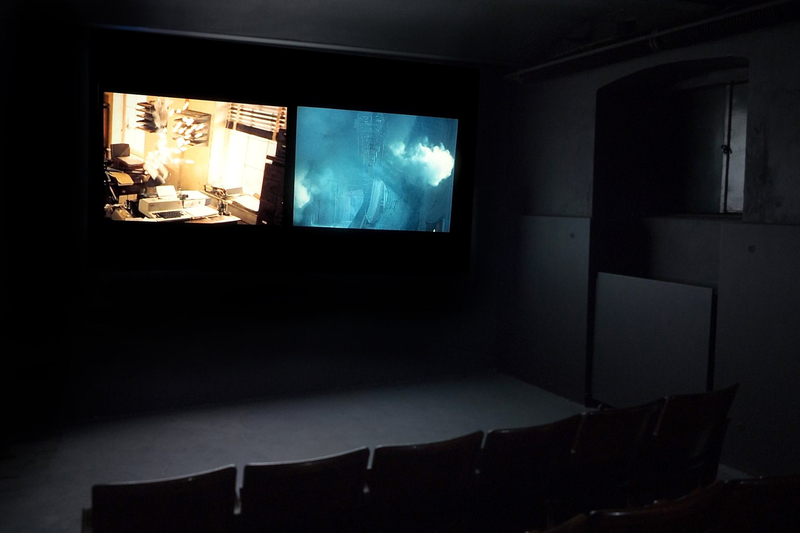 Kemeter's film lampshades take leave of their ficitious film light roles too and in the installation they become the real light source in the room. 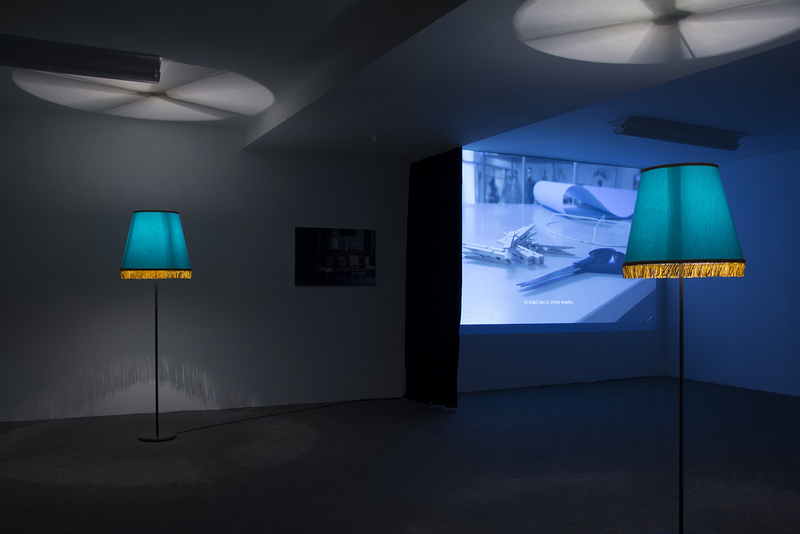 The double slide projection, 'Lamp sequences from James Bond films 1963 - 2015', materialises as the presentation of evidence and memory store for the failed-to-take-place one second fame of Elisabeth Kemeter's lampshades.